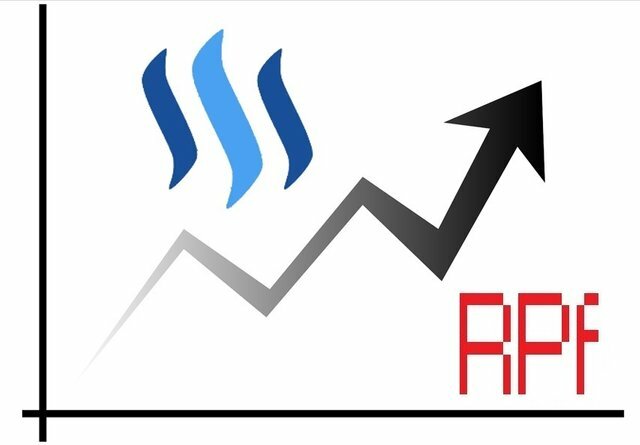 Steem price continues its descent. Have we seen capitulation yet?steemCreated with Sketch. 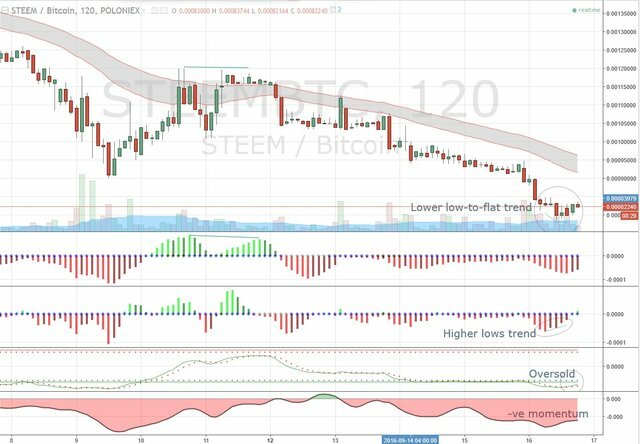 "Bottomline: Opportunities are definitely there for Steem price to reverse upwards, although there is a higher likelihood that it will still need to retest lower first before bargain hunting kicks back in and get the rebound going. I would be taking the patient approach to join these anglers for now." Well, it did head lower, much lower in fact. It penetrated the previous support low at 0.0009 without much effort - any bargain hunting actions there would have been overwhelmed by the stronger sell-off resulting in a new low of 0.000787. From there, It retraced back up above the 0.0008 levels where it is currently trading at the moment, undergoing consolidation. Does this latest swing low reflect price capitulation yet? Let's review the charts 1st. Direction: We currently see some divergence in price trend (lower candle lows to flats) vs indicator trend (higher candle lows) at this latest swing low formation, evident from the current retracement seen. The question is if this new low is now complete and retracement action continues to push price back up further. Probability: Strength indicators reflect a further oversold situation but this has also bounced off the lows and is now attempting to cross over to neutral territory. Momentum-wise, this is still in the red zone. Looking at the volatility indicator which provides signs of sell-off capitulation, we see a number of green bars exceeding a decent 15 - which re-affirms an oversold situation, not necessarily capitulation just yet. 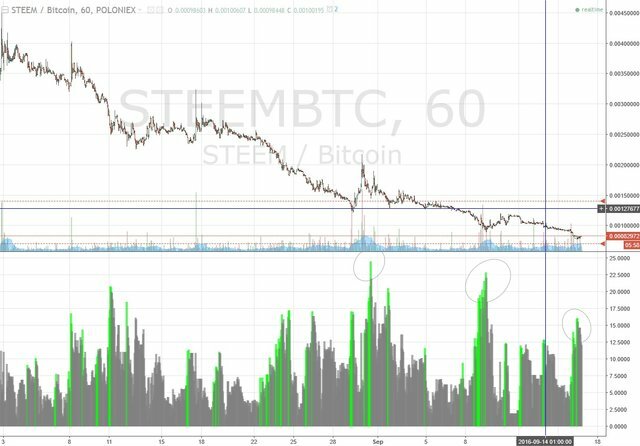 -For STEEM's normal higher level of volatility, i would like to see an excess of 22 before able to conclude with a high level of comfort that a capitulation has likely occurred. Support & resistance: Current price reflects no man's land and due to lack of historical volume data for Poloniex, it is no longer feasible to use volume profile to derive S&R levels. The best we can do at the moment is to utilise a rudimentary Bitrex chart with better historical data and try to assess where the next congestion points converge to infer a new support level. From here we see previous multiple highs and lows way back before the huge up-spikes, converging at around 0.00052 levels which leads me to identify this as the next support level. Resistance remains at previous 0.00092 (below cloud entry) and further up at 0.00104 after that. These kind of price falls are only stopped by big development news coming out, or by speculators doing a pump. It's too soon for a speculative pump, they like accumulating at low prices for quite a while before they make their move. Thanks candy49 for your sharing your thoughts and upvote. Recently so far for other alt coins such as monero and lately ripple, the trend has been indeed a piece of coin positive news coming out (could be more 'style' over substance, it does not matter), followed by a sudden series of pumps and then leading to dumps as lack of substance comes back into focus. I do hope steem does not go that direction. Thanks for your comment and analysis. I believe that we will see the 0.005 level as the best support level but due to the deluge of fresh STEEM supply I think it's dangerous to put much weight on any technical analysis. Whole market is too one sided with too much liquidity held by a few whales and not enough minnows to feed them. The support level will be reached when the whales stop selling. thanks for sharing that and appreciate your upvote. I just realized we all need to get used to the new levels - i.e. 0.0005 rather than 0.005, heh (i also made that typo and have corrected that in my post) . In terms of tech analysis, as long as there are people looking at the same things, it will still wield some self-fulfilling abilities. The question then is whether those actions can eventually overweight other factors such as whale liquidity as shared. Perhaps some whales do look at charts too and become more proactive in trading steem rather than simply exiting as the market matures. That would really improve the health of the overall steem market. People are selling steem to get currency. This isn't going to stop. I expect it will continue until there are no more buyers then it will stabilize. STEEM's trajectory follows that of all other pre-mined crypto-coins like: Wankcoin, Mazacoin, Titcoin etc etc.. There has never been an exception to the pre-mined crypto rule. This is not it. The Titanic mood music is playing. Can you hear it? The thirties are approaching. Stay safe my friend. Thanks for the caution. I will bear in mind what you have shared. cheers and have a great weekend ahead!